In case you haven't noticed, this week marks the annual celebration of Independence Day all across the U.S.
That means a celebration of all things red, white and blue including fireworks; backyard cookouts with hamburgers, hotdogs, watermelon and home-made ice cream; and of course, a day or two of fun out on the waterways of America. Since this year's Fourth of July celebration falls on a Friday, the opportunity exists for an extra long weekend of holiday fun out on America's H2O. In fact, many folks will be taking an extra day or two off this week – or maybe even the entire week – to get in a good summertime vacation packed with a extra few days of fun out on the water. But also that means that the opportunity for boating mishaps will go up exponentially all across the nation on numerous crowded waterways. Looking to get out on the water, wet a line, have some boating fun and yet still be able to enjoy a safe week of July 4th holiday fun with your family and friends? Then follow these 10 boating safety tips courtesy of information gleaned from the websites of state game and fish agencies like the Texas Parks and Wildlife Department. While not a comprehensive list of all the ways that a fisherman or boater can stay safe out on the water this week, it's a start. •	Always wear a legal, properly fitting personal floatation device (PFD). 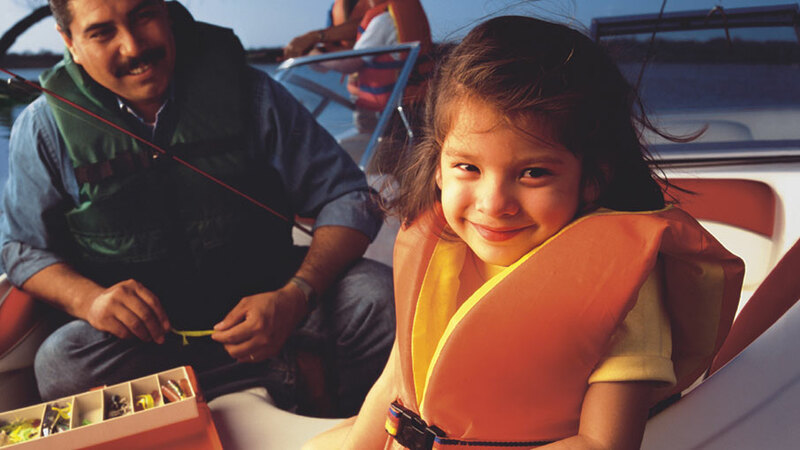 •	In Texas, children younger than age 13 must wear a Coast Guard approved life jacket while a vessel is underway. Be sure to check the regulations in your state concerning this important regulation. •	Either avoid alcohol use entirely until the day is done or select a designated vessel operator. •	Pay attention to the day's weather forecast and seek safe shelter immediately should a storm threaten. And remember, lightning can strike and kill a boater even if a storm is still miles away. •	Be especially careful when operating personal watercrafts. •	Don't overload your boat. •	Operate at a safe speed. •	Always have a passenger serve as a lookout in addition to the operator. •	Watch out for low water areas or submerged objects. •	Enroll in a boater education class. Again, this isn't a completely comprehensive list of things you can do to stay safe out on the water this week. It's just a decent start in that direction. And please note that boating laws and safety regulations do vary from state to state. So before venturing out, be sure to review the laws, rules and regulations that exist in your particular state and apply them to your vessel or particular situation. By employing these and other safety measures – and by using good judgment and common sense out on the water – you and those dear to you can up the odds of safely getting out on your local waterway and having a little holiday fishing and boating fun. All while celebrating Uncle Sam's 238th Fourth of July holiday. Happy birthday America!